Here, at PWD Creative, we specialise in a wide range of printing solutions including high quality printed PVC outdoor banners. 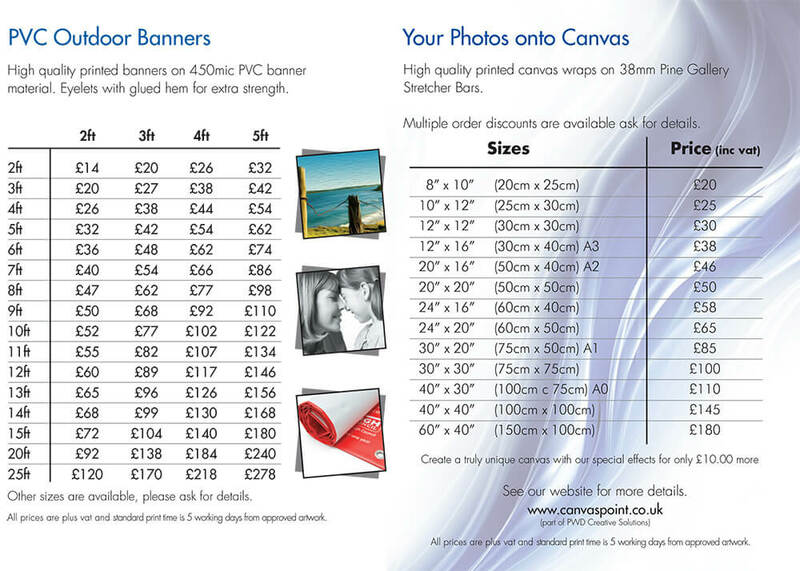 We can also help with high quality printed canvas wraps. Take advantage of our discounts offered on bulk orders. Please see the information below for our general guide to prices and sizes offered. Get in touch with us if you require a more bespoke order as we can help! Call us on 01772 312554 or send us an enquiry online.